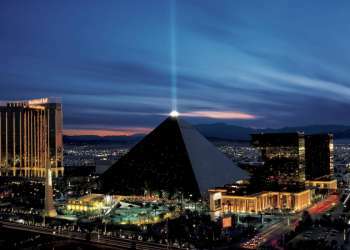 The conference will be held at the renovated Luxor „MGM Resorts International“, in Las Vegas, Nevada, US. Online room reservations: coming soon. By phone, please call 1-800-926-4737 or 1-800-288-1000 (from USA) or 702-262-4450. Make sure that you mention the Group Code „CSREA2019“ (this is the code that the hotel will use to handle the reserved block of rooms). A daily Resort Fee of $28 (mandatory) plus the current Clark County room tax of 13.38% (subject to change) will be charged in addition to the room rates set forth above. The Resort Fee includes: Property-wide high speed internet access (public spaces and in-room), unlimited local and toll free calls, airline boarding pass printing, and fitness center access for guests 18+. The Resort Fee is a mandatory fee set by all major hotels in Las Vegas. One of the most iconic hotels on The Strip, the Luxor pyramid invites curiosity while its interior rewards visitors with equal parts excitement, mystery and intrigue. This 4,405-room resort features a wide variety of entertainment including the newly reimagined Blue Man Group, Criss Angel’s MINDFREAK LIVE, the provocative adult revue FANTASY and the hilarious comedy of Carrot Top. You can get to Luxur Hotel by shuttle (bus) service from Las Vegas airport. The shuttles run 24 hours a day (7 days a week). Ask the information desk at the airport to direct you to the shuttle stations. Taxi services are also available 24 hours a day at the airport as well as Limousine services. For driving directions Click Here.